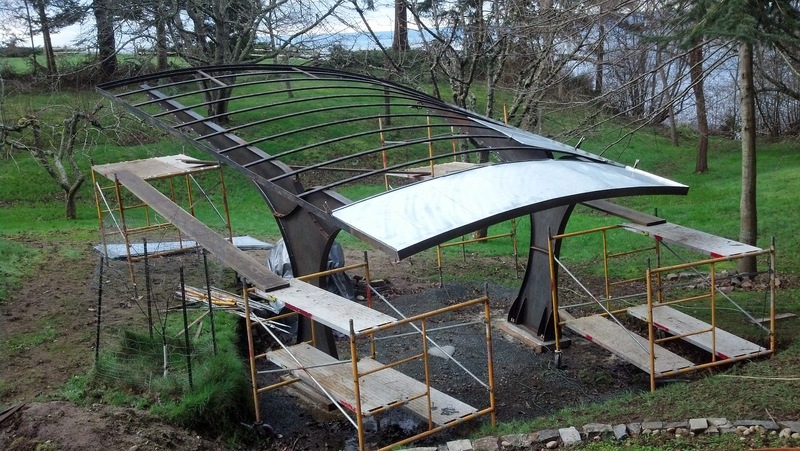 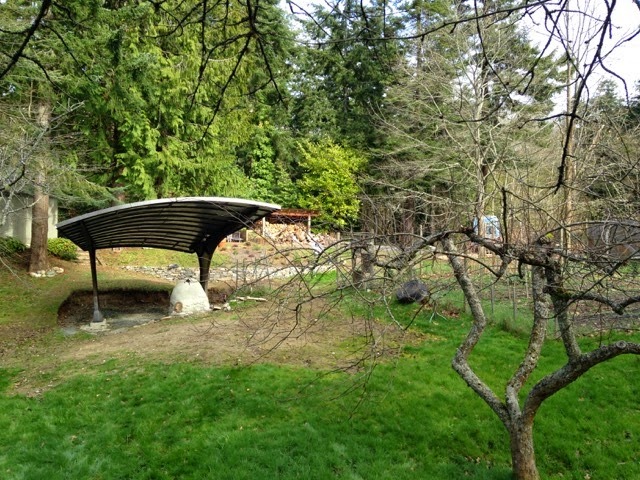 New Custom Awning approx 22 ft long..Shelters a hand built cobb wood fired Bread Oven. 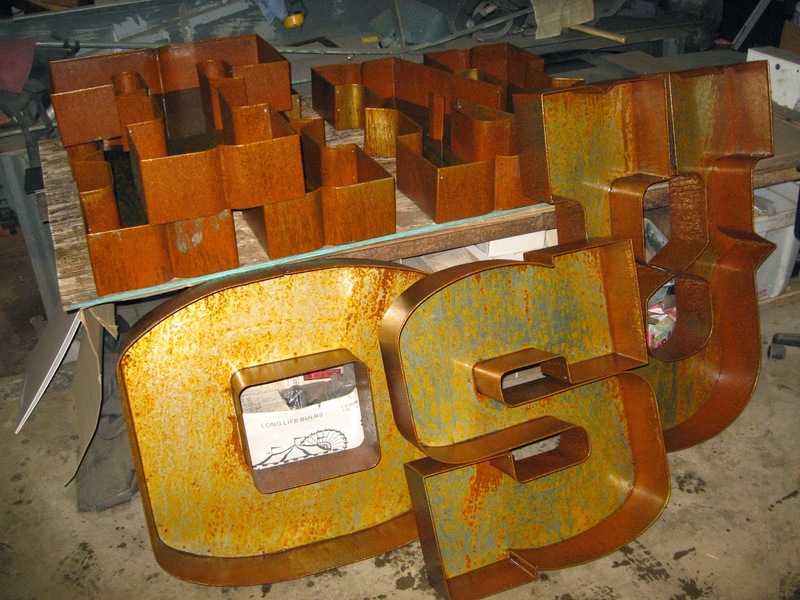 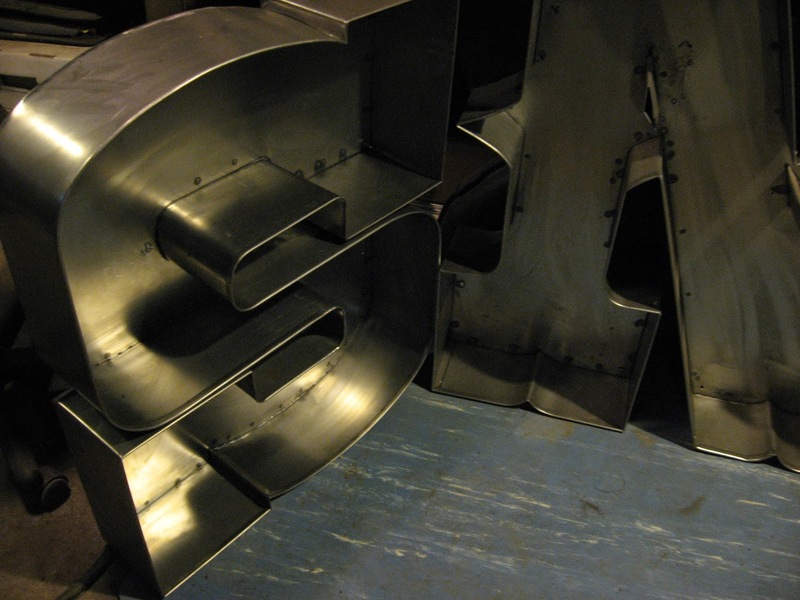 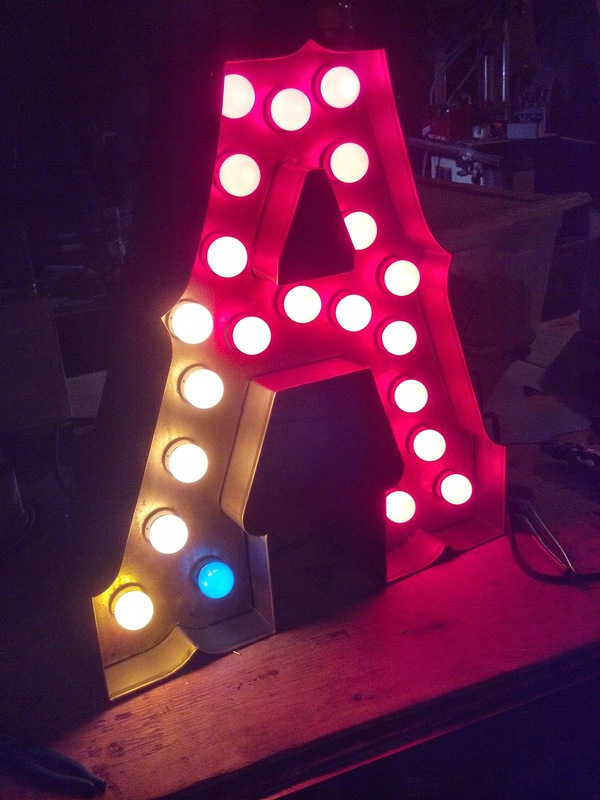 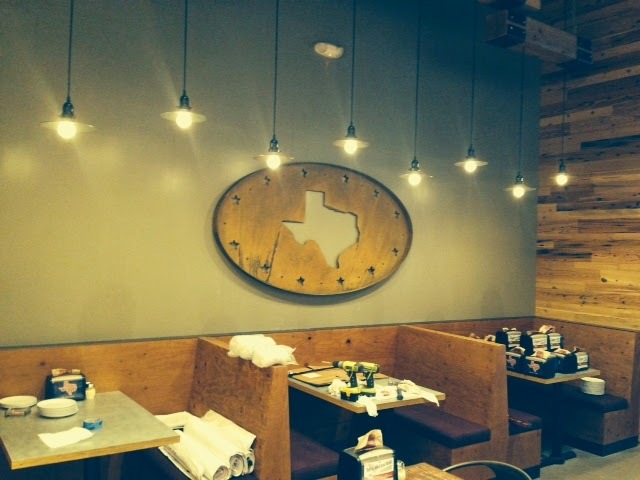 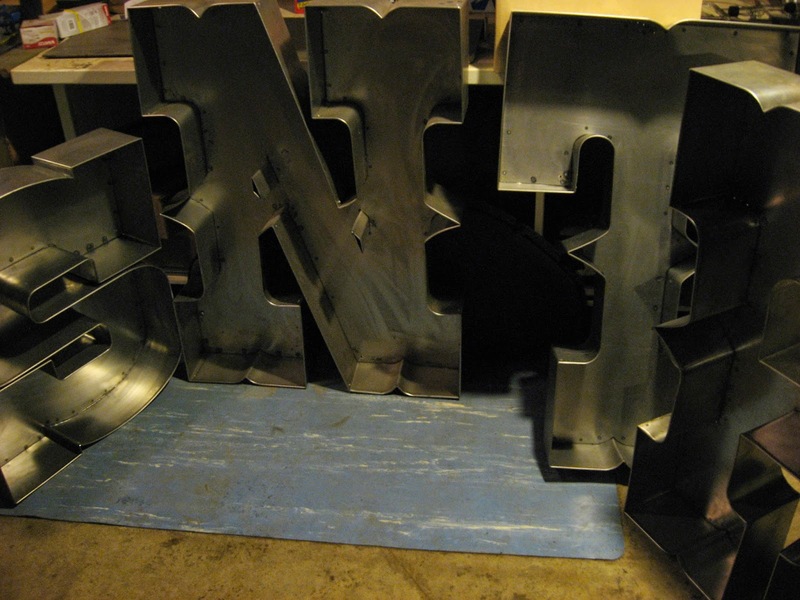 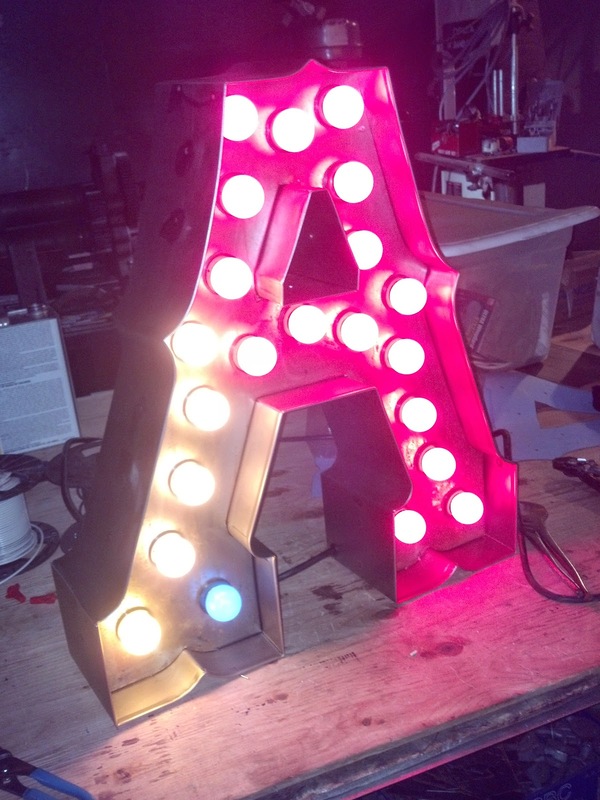 36" TALL CHANNEL LETTERS FOR A NEW LOCATION IN TUSCANY - HOUSTON TEXAS. 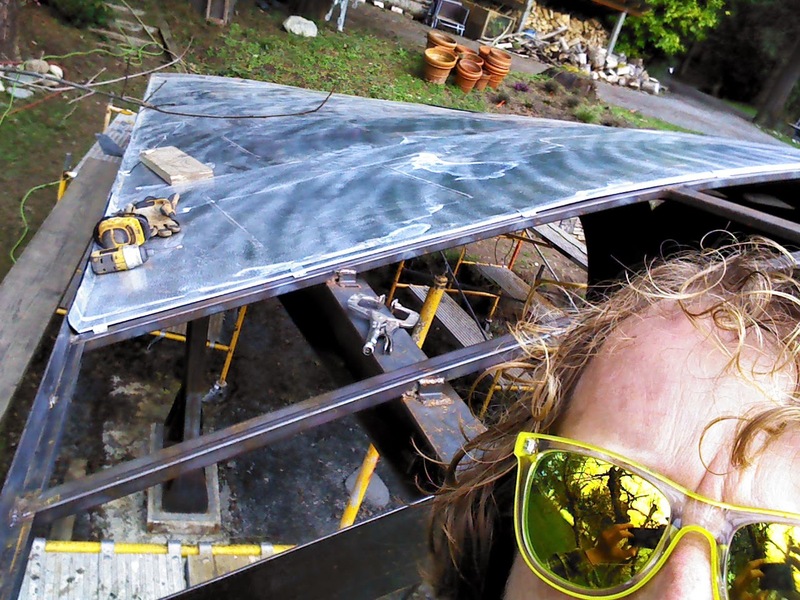 8 Ft Tall "ZINC PLATED STEEL" Lightning Bolt. 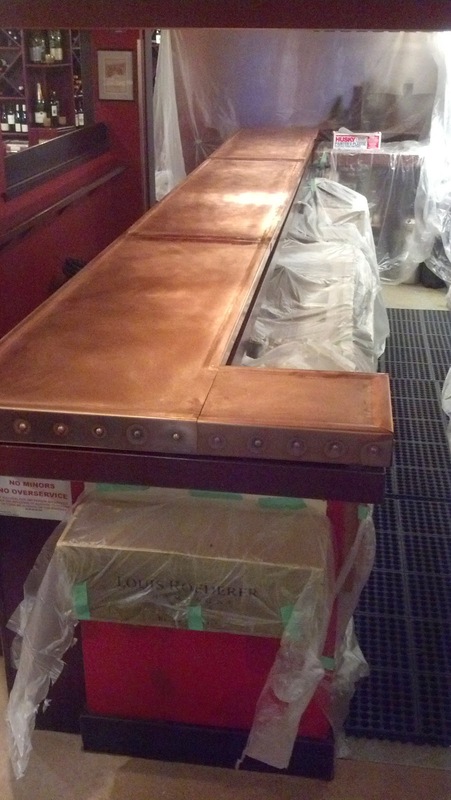 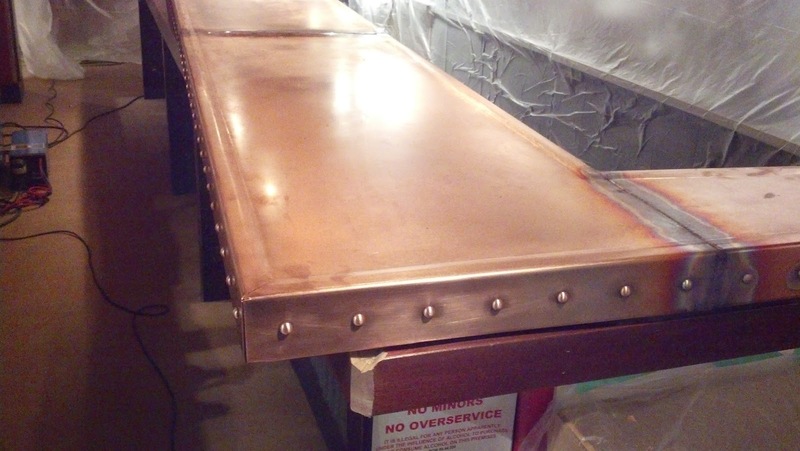 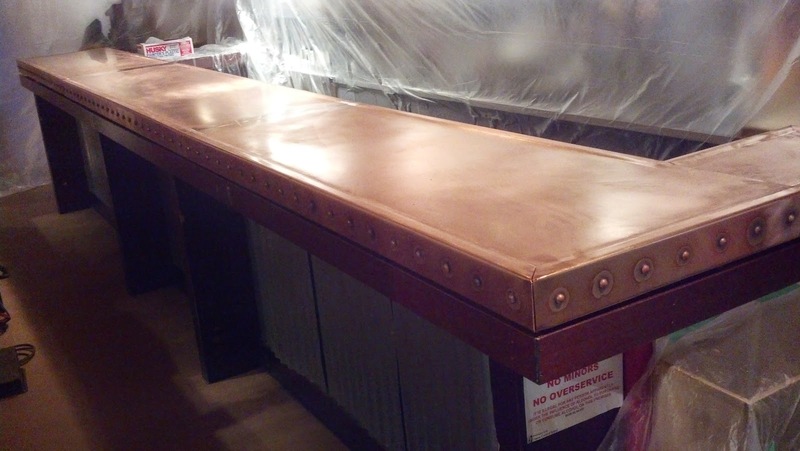 Built for MUSEO's POP Art Show..
New Custom 24 foot Copper Bar Top made from 72 oz. 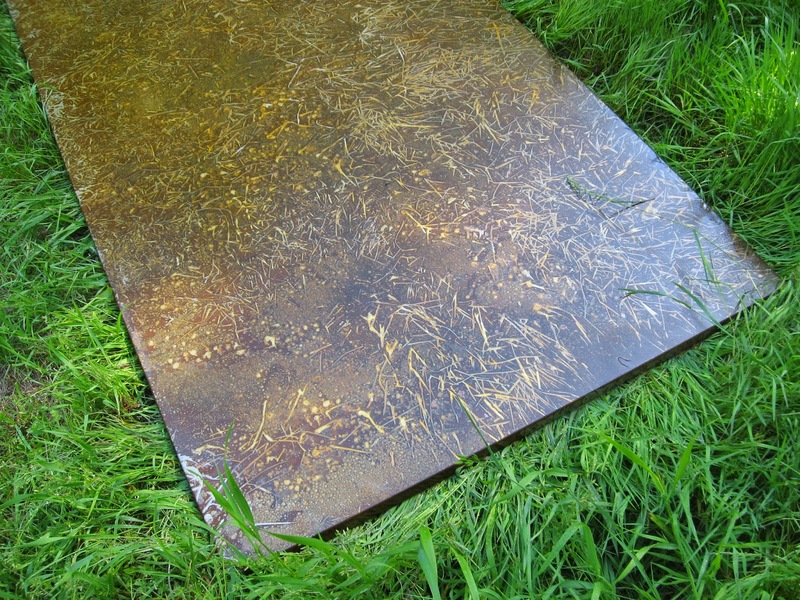 copper (3/32"). 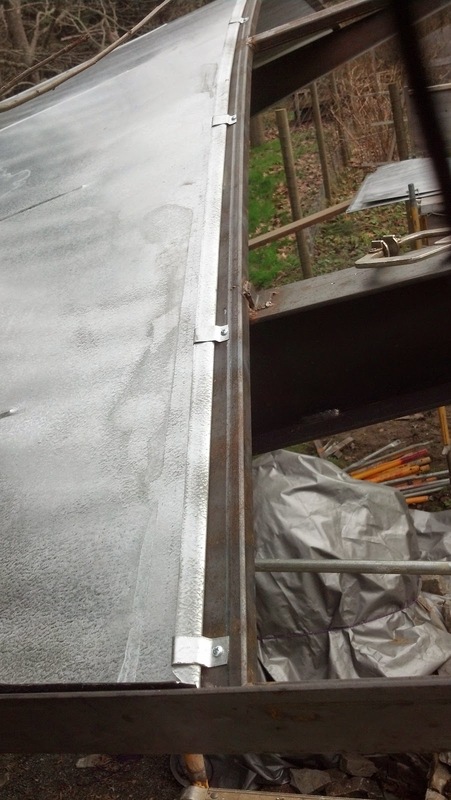 3 welded field joints (Came out in 4 sections), fully welded corners and about 150 3/4" copper rivets. 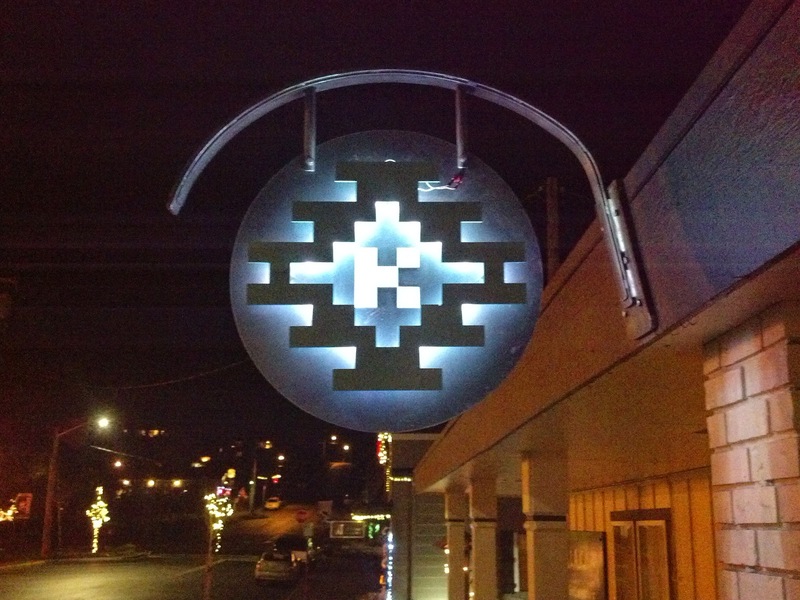 Come on Down To PRIMA BISTRO in Langley and check it out! 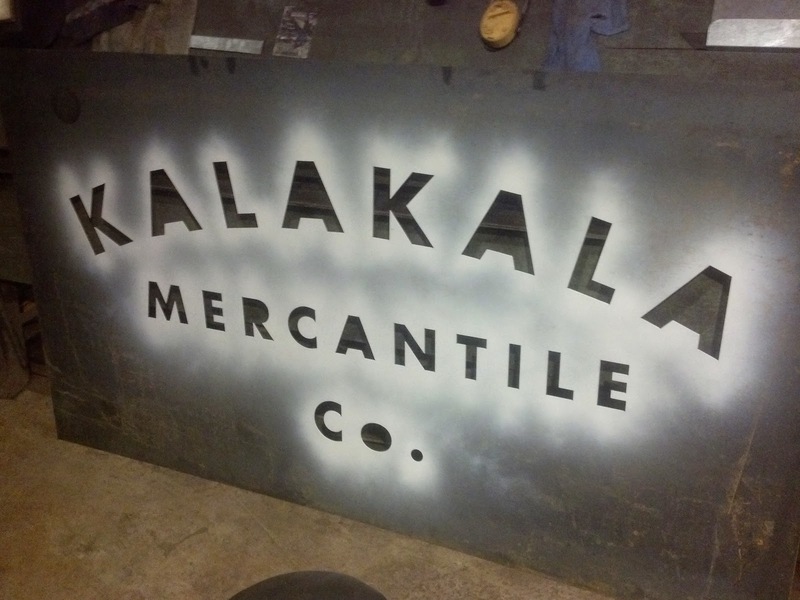 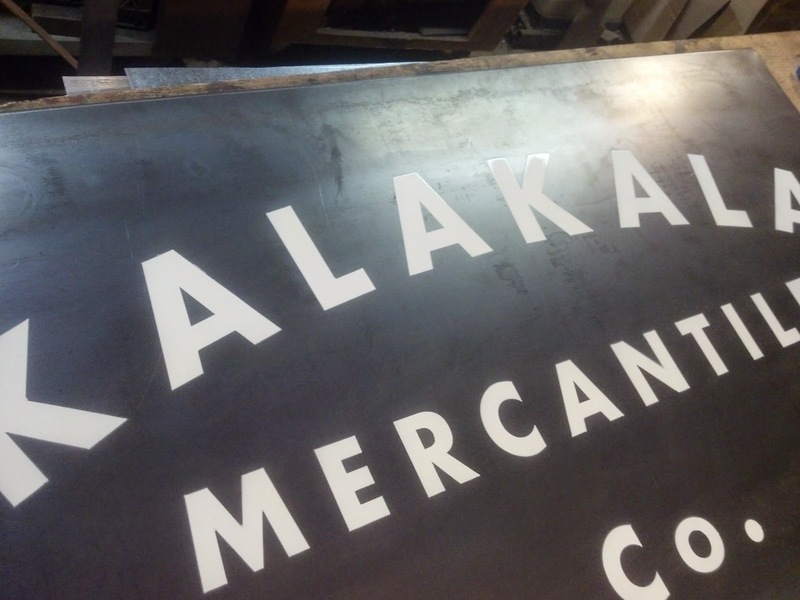 New Entry Signage made from hot rolled steel. 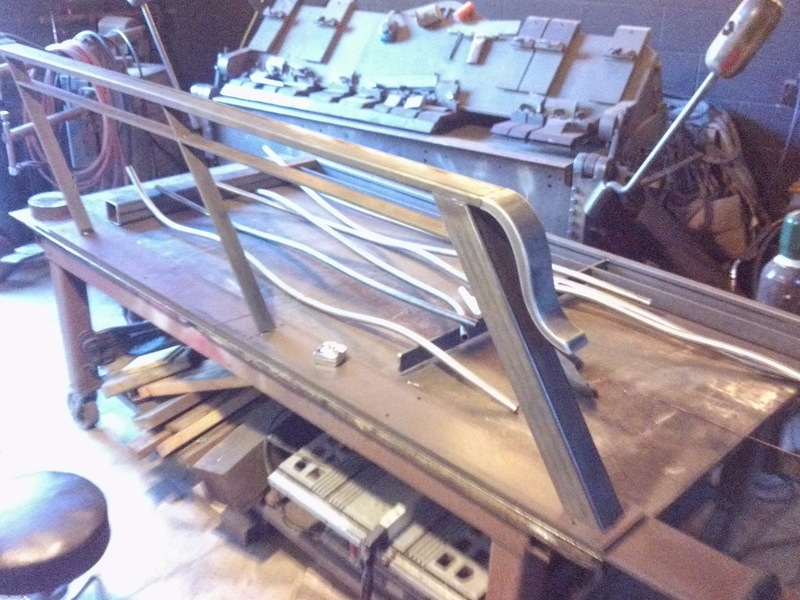 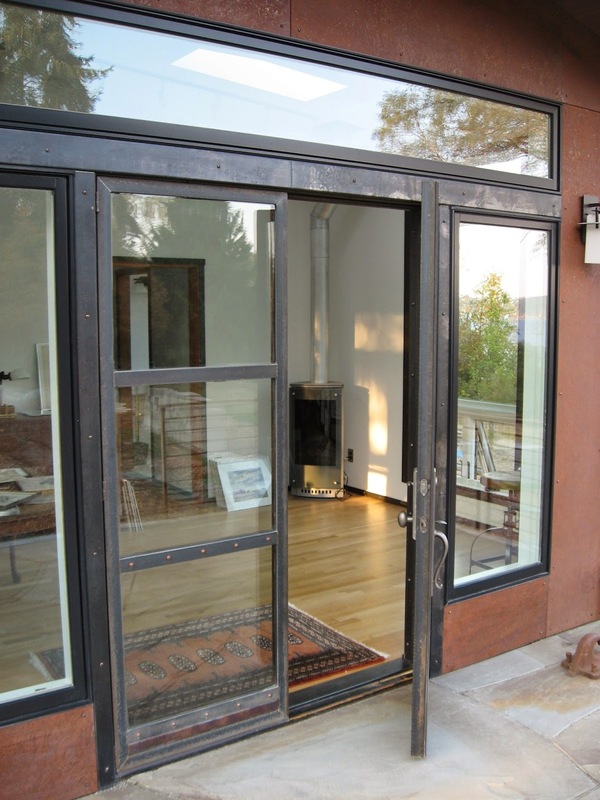 2 Sets of Custom Designed And Fabricated Complete Door Systems. 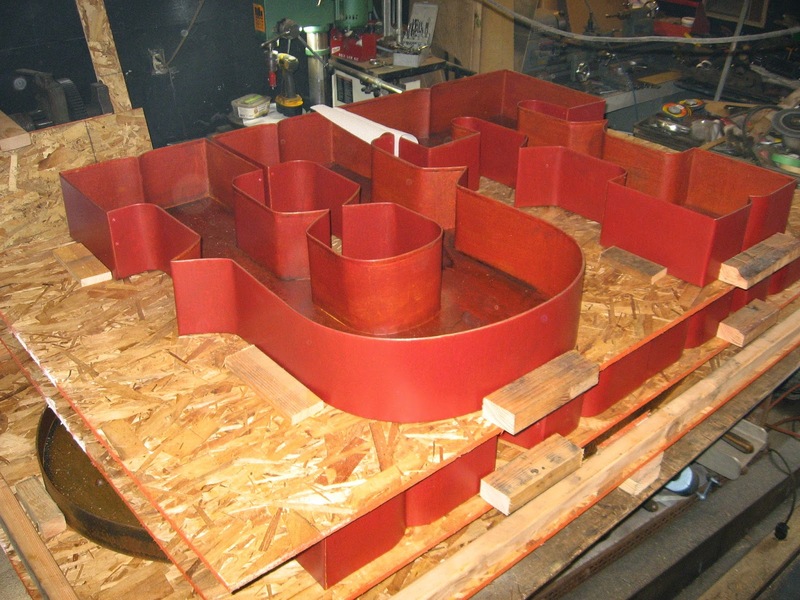 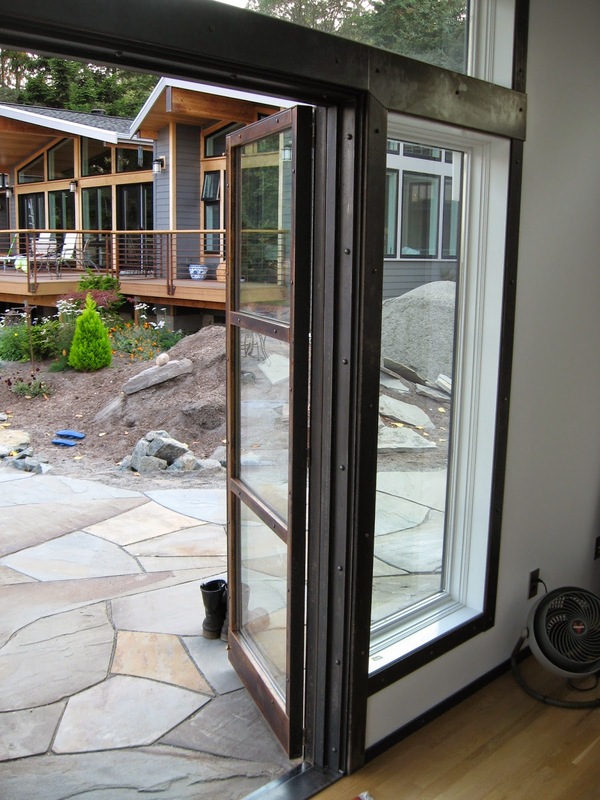 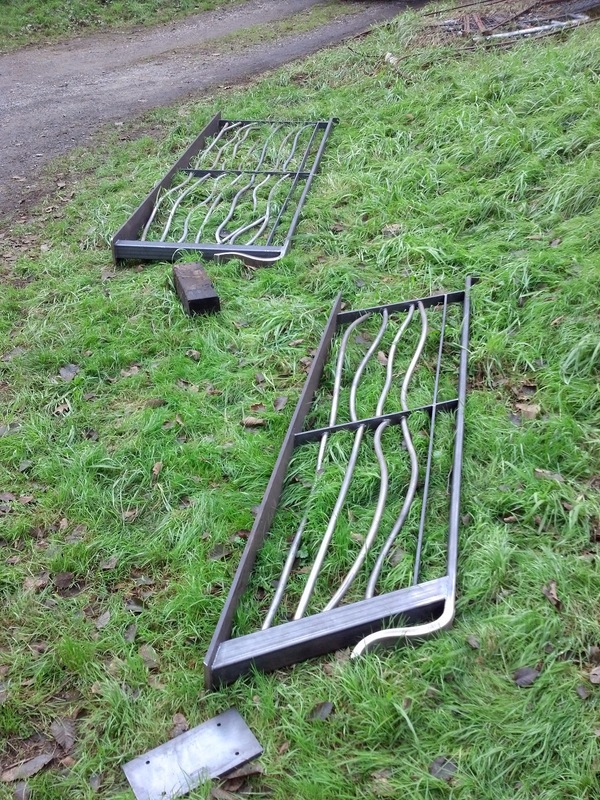 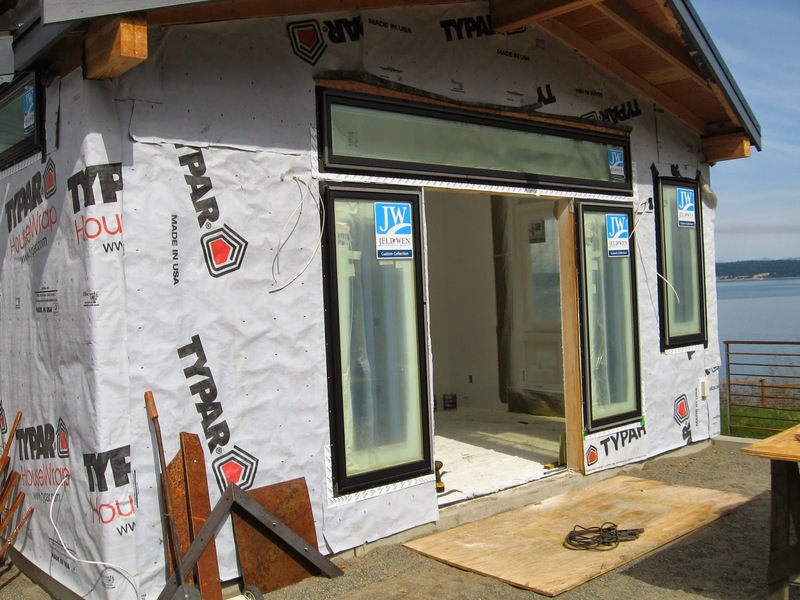 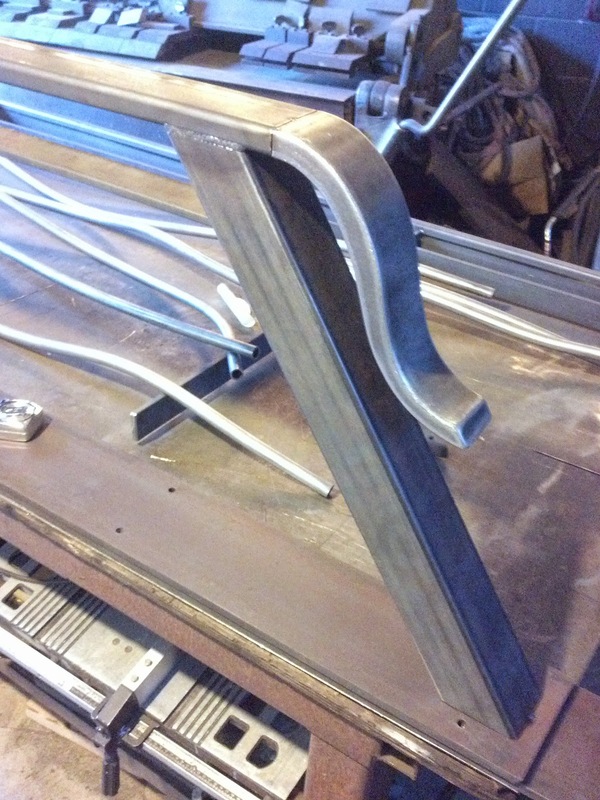 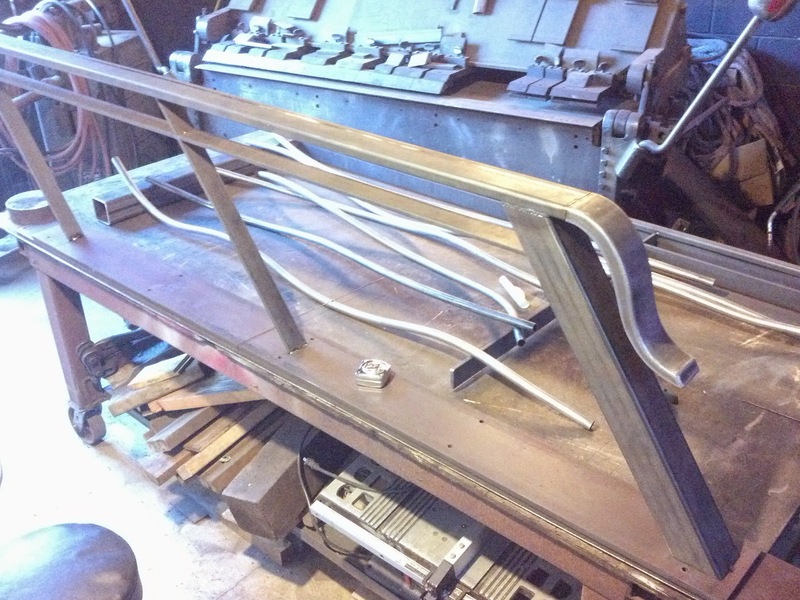 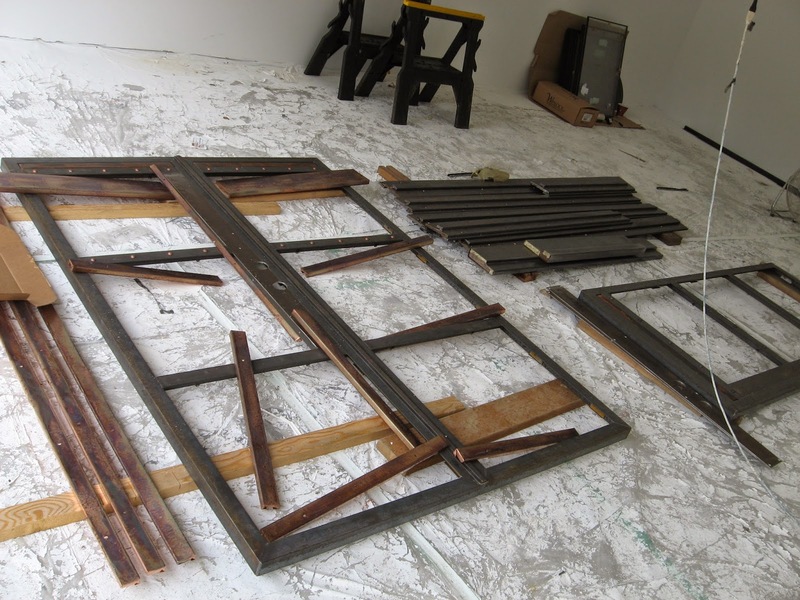 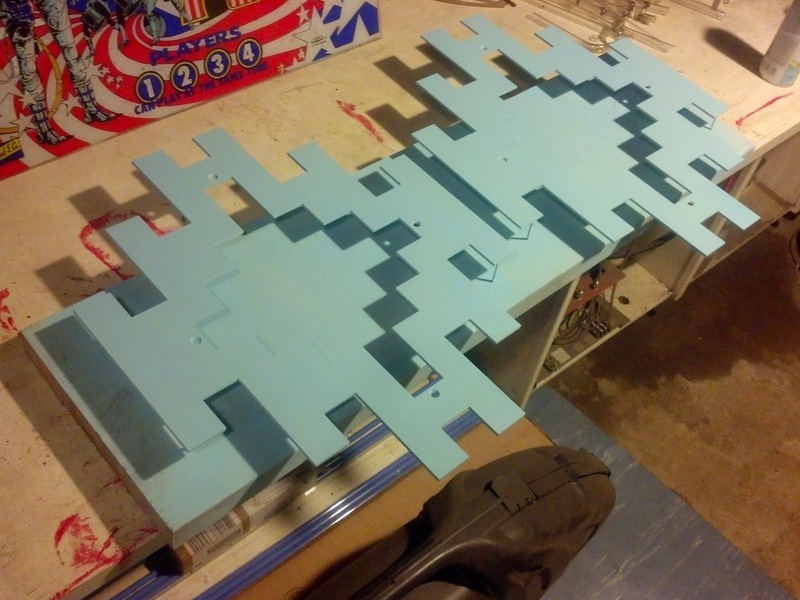 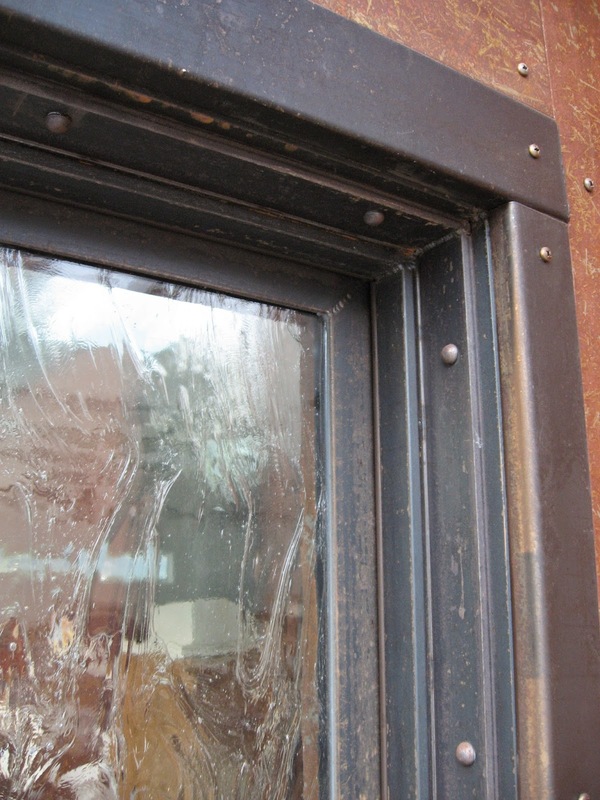 The Jambs themselves are made from multiple pieces of flat Bar, the Main Body is 1/2" x6" ! 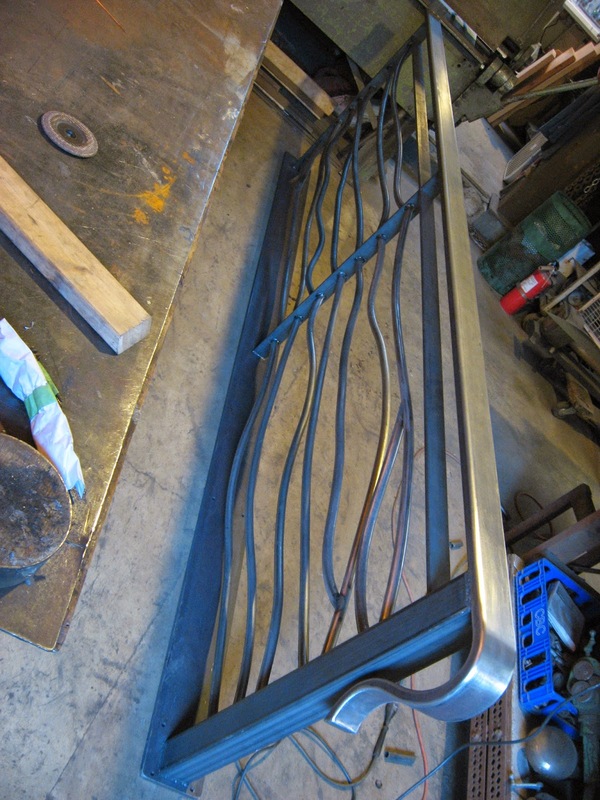 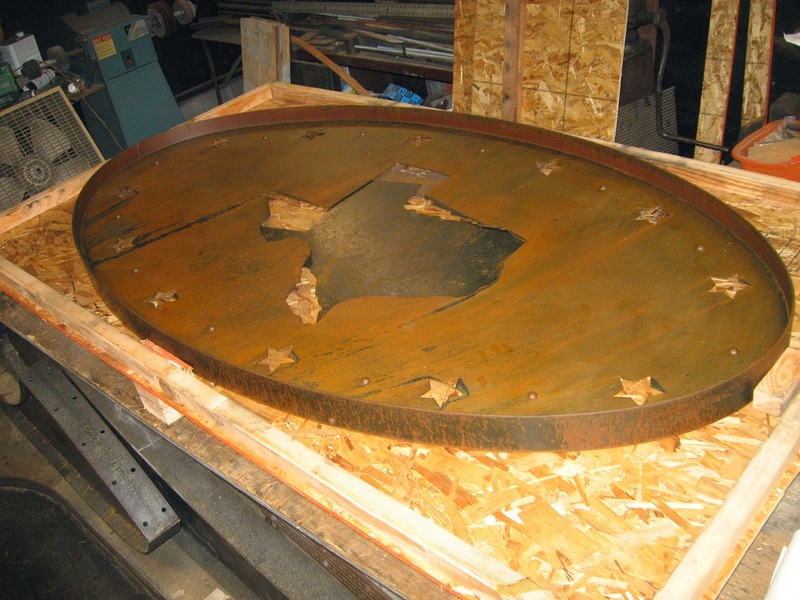 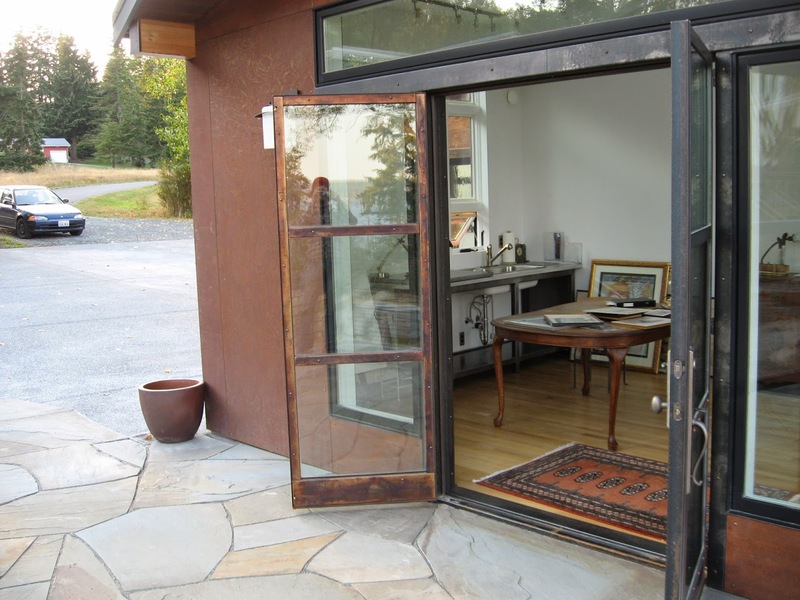 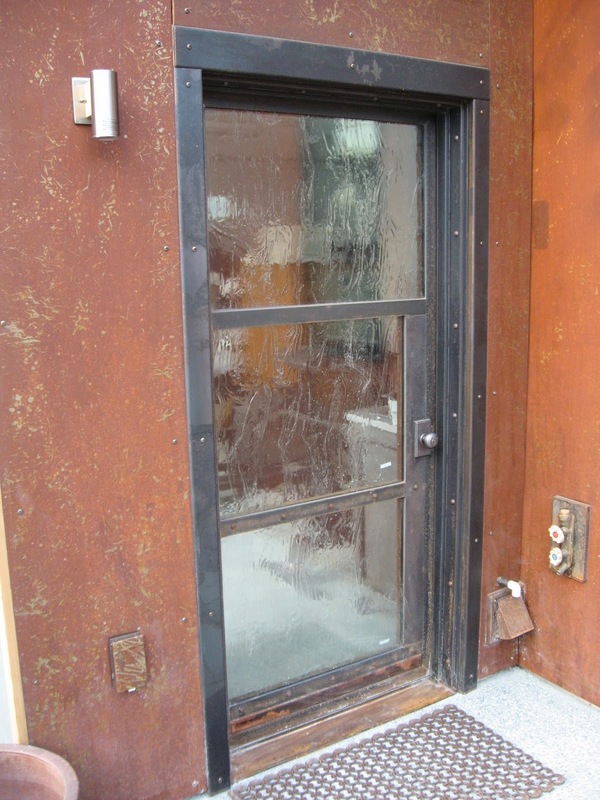 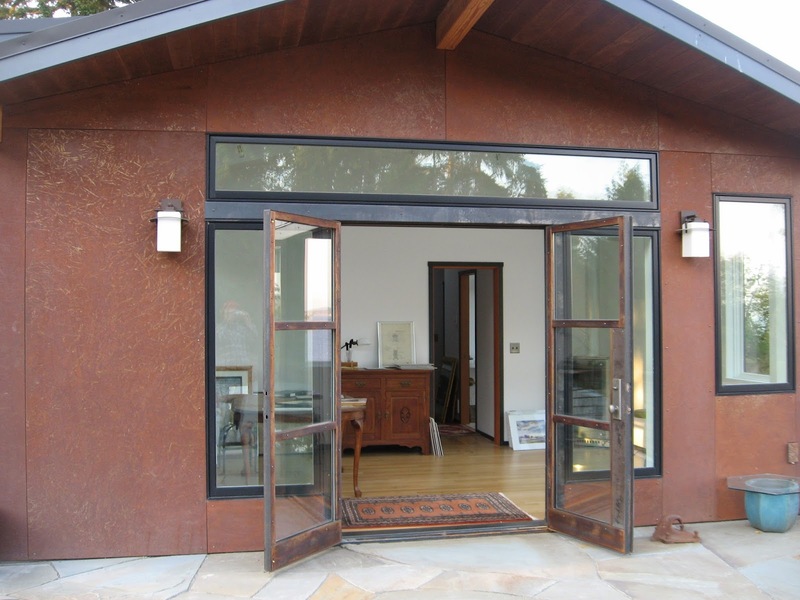 The doors are made from 2" Heavy Agle, Flat Bar and Trimed out with Patina Copper. 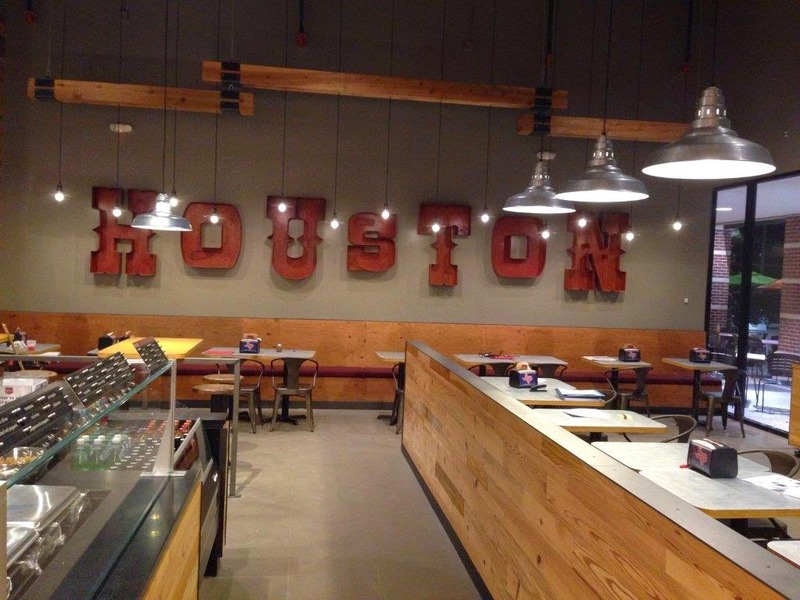 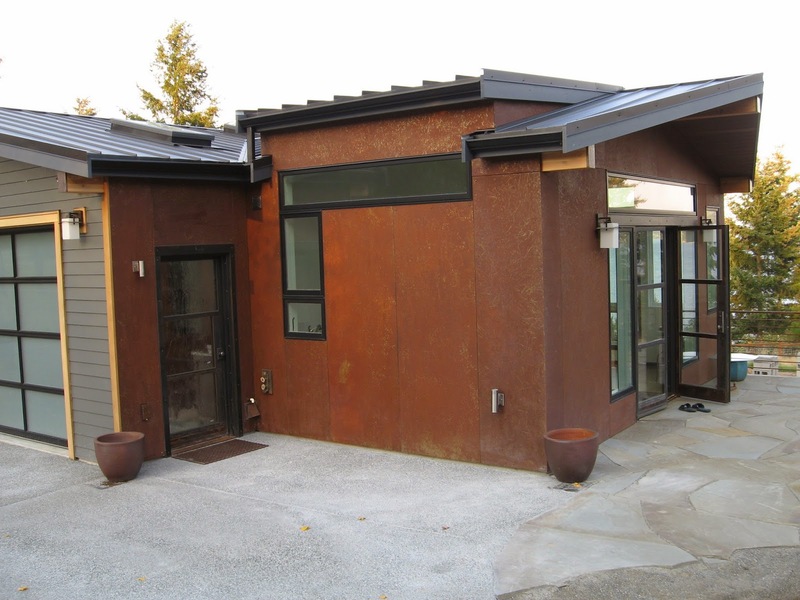 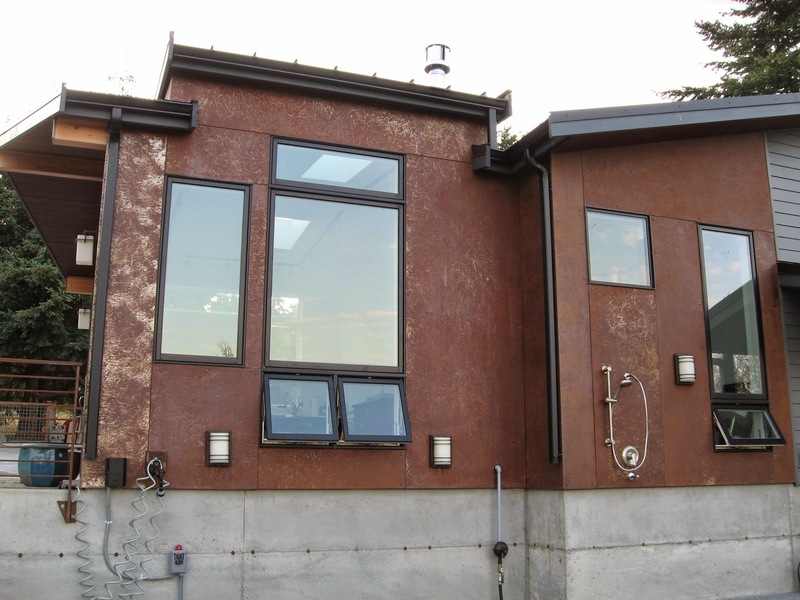 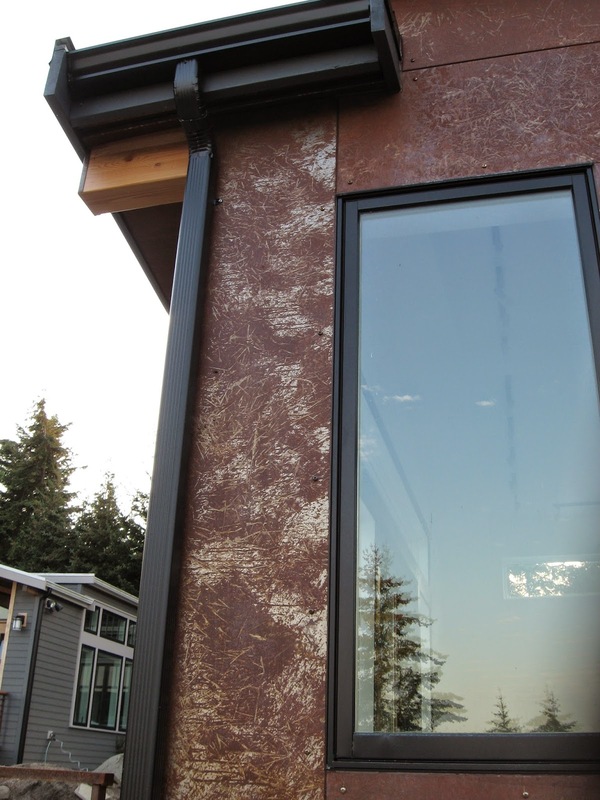 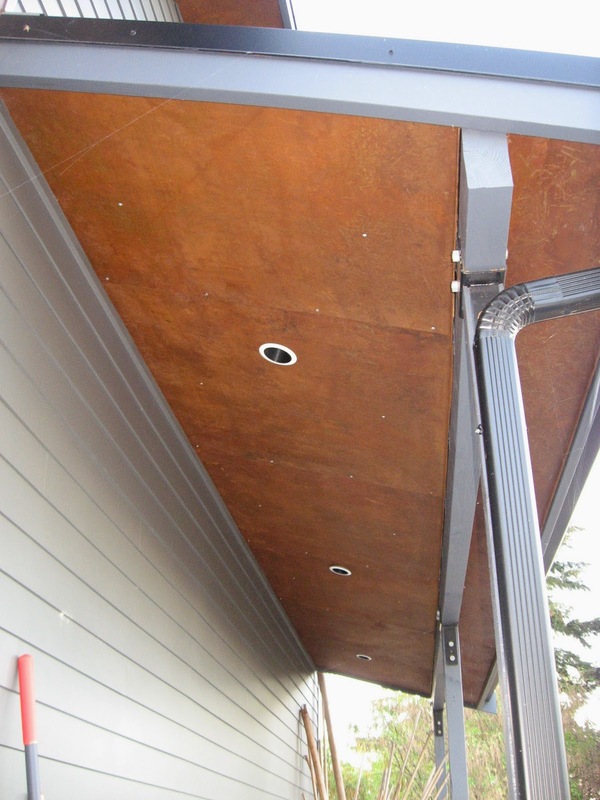 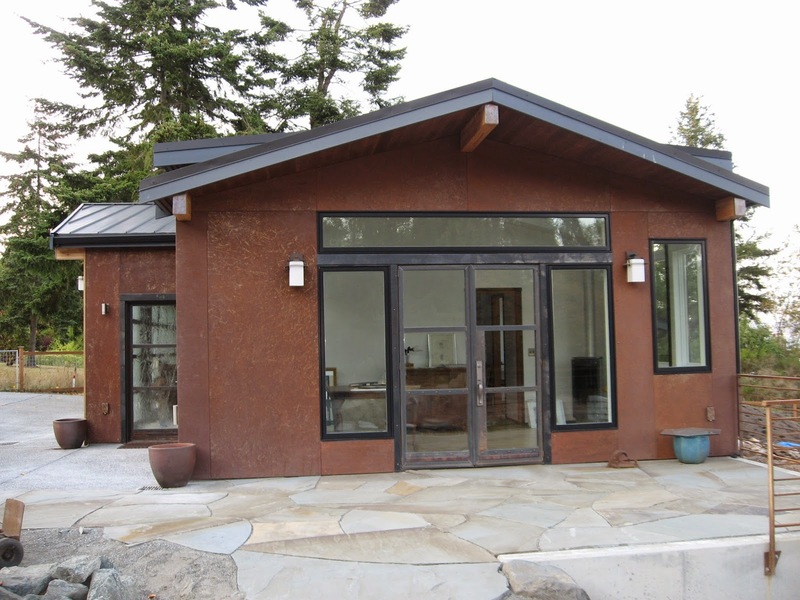 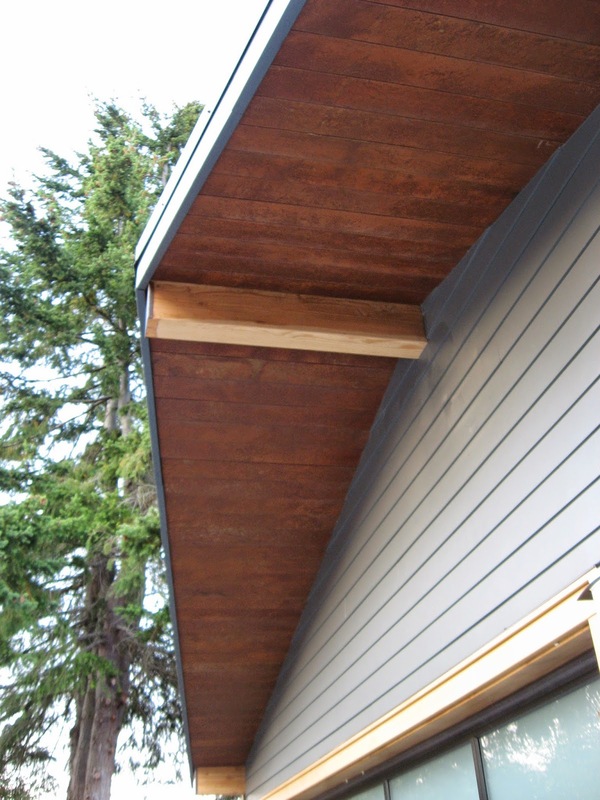 Cutom Formed 20 Ga Cold rolled Steel Siding. 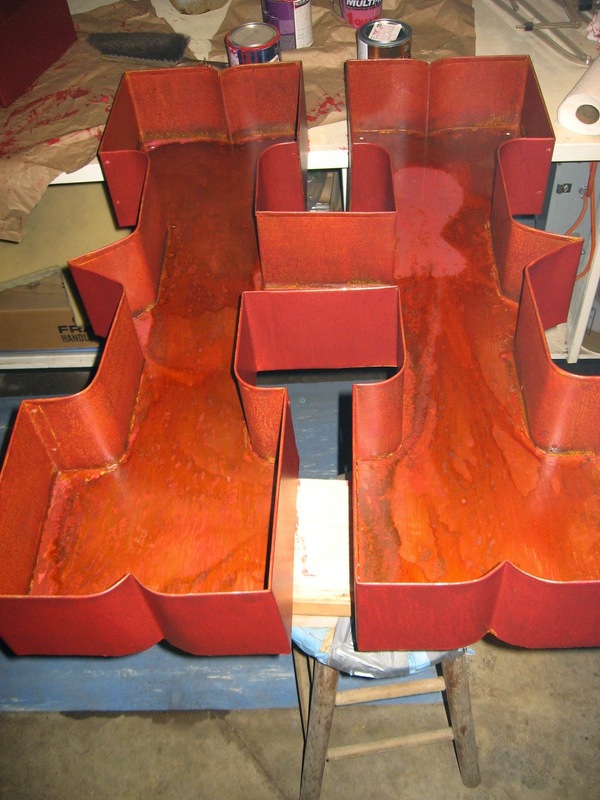 Pre Rusted and clear coated.